We provide a happy and secure learning environment where all children are encouraged to try their best and reach their full potential. 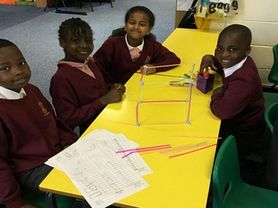 We ensure that the classrooms are an exciting and stimulating place to be which motivates them to work hard and achieve highly whilst having fun. 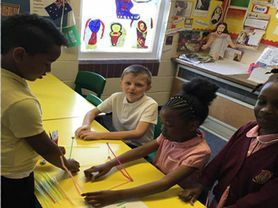 Our aim is to give each child the stability and enrichment they need to become well rounded individuals who are well prepared for the next academic year. 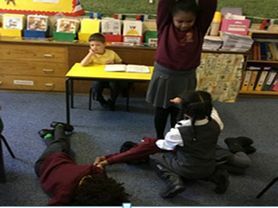 We strive to provide the children with a broad, balanced and creative curriculum catering to the needs of all children. The class teacher is Mrs Galloway supported by Mrs Fielding. Read more about REAL Projects. Making 3D models in Maths. Working in teams in maths. Lights, Camera, Action! Drama for The Tin Forest. 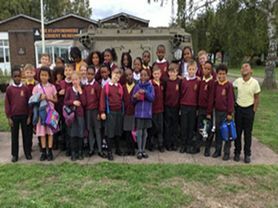 Visit to the Staffordshire Regiment Museum. 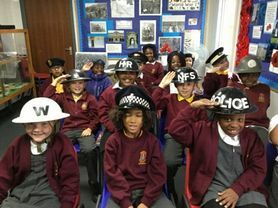 Role playing special jobs during an air raid. 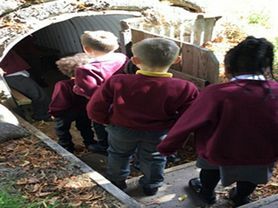 WW2 air raid shelter experience.